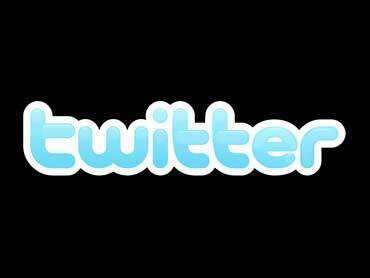 Twitter is moving to protect certain user accounts from impersonation. CBS News Science and Technology correspondent Daniel Sieberg reported on "The Early Show" Thursday, the popular social networking site is beginning to verify accounts following a lawsuit with St. Louis Cardinals manager Tony La Russa. La Russa sued the site after dismayed fans read someone they thought was La Russa tweeting the message, "Lost two out of three, but we made it out of Chicago without one drunk driving incident or dead pitcher." La Russa's lawsuit claimed a damaged reputation and emotional stress. Now, Twitter is fighting back. A statement released on the Twitter Web site, states, "...With due respect to the man and his notable work, Mr. La Russa's lawsuit was an unnecessary waste of judicial resources bordering on frivolous." "We see the need to verify those accounts at risk of impersonation for both the community and the user to have a better Twitter experience." Actor Ashton Kutcher - with more than three million Twitter followers - is one of the first to have his account verified for authenticity. "(Celebrities) have numerous accounts," Bradley Jacobs, senior editor of US Weekly told CBS News. "The trick is to find out which one is real." However, if you want your own seal of approval, Sieberg said, don't get your hopes up, because Twitter may not get to you just yet. The site is hoping to verify more accounts in the future, but right now is beginning with a small set of mainly celebrities and sports stars. Jacobs told CBS News, "(Twitter is) a great way to hear straight from the celebrity's mouth, or straight from their fingers." However, as Wired magazine editor John Abell pointed out, "Anyone can sign up for anybody under any name." Other stars who have been impersonated on Twitter include George Clooney, Kanye West and Alaska Rep. Congressman Don Young. Twitter has quickly become one of the most popular social networking sites in existence, its popularity exploding from 1.2 million users in 2008 to more than 18 million as of a May, according to Nielsen ratings. And since May, Sieberg reported, three million additional users have signed up for the online site that shares your thoughts in 140 characters or less.